Historically speaking, the battle between complementary medicine methods and “conventional” methods has ebbed, flowed, and blurred as researchers gain a more accurate understanding of how the human body works in relation to the world and surrounding cosmos. Sadly, some of the most valuable and almost miraculous treatments remain hidden from people that need them most because modern science has neither the tools nor the resources to test them out properly. In this case, Bio Synergy is an incredible device that can restore wellness and good health even in cases that are considered impossible by modern medical standards. What is Bio Synergy Technology? 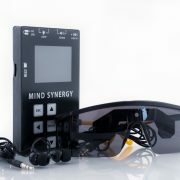 Bio Synergy is a device based on Edgar Cayce’s Radial Appliance. 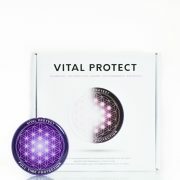 It uses colloidal gold to harmonize the energy fields in your body and restore them to a healthier form. Although Bio Synergy is often referred as a Bioenergetic battery, it does not actually hold an electrical charge like a conventional battery. Instead, it interacts with the energies naturally produced by your body to optimize them and adjust areas of disturbance or turbulence. Chances are, you already know that gold is the most valuable substance on Earth. Even though you cannot eat, drink,or breathe gold to sustain life, it is the standard of barter and trade no matter where you go. While modern researchers won’t admit it, or can’t seem to find a way to test it, gold is also capable of transmitting both subtle or unseen energies as well as electricity. This, in turn, means that gold is one of the few elements that can address subtle energy problems that serve as the underlying basis for both wellness and disease. Interestingly enough, you don’t need to be exposed to bars of gold, or consume gold in order to derive benefits from it. If you try to consume gold and other metals, there is even a chance your body will not absorb them or be able to use them properly. While colloidal metals (nanoparticles of metal held in a liquid suspension) such as silver are sometimes consumed, they are not as effective as using colloidal gold in the Bio Synergy system. In fact, even consuming colloidal gold directly will not give you the same results or benefits as using Bio Synergy. It is important to understand that the hidden or unseen energy fields of your body don’t rely on physical or tangible materials to flow or function. They move through and around your body unseen, and are typically gated and moved around your body via the chakra and meridian systems. 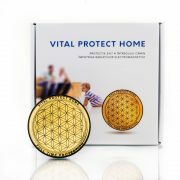 That all being said, gold is a very special element that can interact with unseen energy fields and help smooth out their flow as long as it is harnessed in a suitable device such as Edgar Cayce’s Radial Appliance, or the Bio Synergy Device. As you use the Bio Synergy (once you start using it, you cannot share it with anyone else), it will adapt to your energy flow, and then begin matching it to the template of healthy flow provided by the colloidal gold housed within the machine. While using the device, you will be asked to place attachments from it on different parts of your body each day (hands and legs), and then repeat the process after a certain number of days. When the attachments are on these parts of your body, the device will pick up disturbances or disbalances in your energy field, and then use the energetic signature of the colloidal gold to smooth them out. If you have been learning about the chakra system, then you already know that it serves as the interface between cosmic energy and the physical and emotional bodies. In many cases, the first part of the body affected by cosmic energy flow is the DNA or genetic material within each cell of your body. From there, wellness may continue, illness may arise, or cures may be achieved by adjusting the incoming energy. Colloidal gold therapy applied through the Bio Synergy device is a key tool for making these adjustments and producing measurable positive results. Remember, even though you can’t see, feel, or detect the energy flow with the five senses or associated devices, that doesn’t mean your energetic body doesn’t exist and isn’t responding to resonance created by the device. Why is Bio Synergy so Important Today? Consider a situation where you used to drink a lot of soda, eat junk food, or even smoke cigarettes. While these may all seem like perfectly normal and socially acceptable vices, they do unimaginable harm to your body. Even if you consume a better diet now, exercise more, or pursue meditation, there is a chance that you are suffering from chronic illness. No matter whether you are exposed to too much man-made electromagnetic radiation, hidden toxins in your new “health” foods, air pollution, or chemical contaminants in the water, the fact remains past and present actions can still be taking an enormous toll on your health and wellness. If you are tired, stressed, and never seem to be able to think straight, it can be very hard to trace the tangible sources of your problems, let alone venture into energy medicine and healing modalities. Aside from battling skepticism, old belief systems, and even flawed prior learning experiences, it can be very difficult to reach a place where you accept and then act on the fact that unseen cosmic forces and energies play a role in both health and disease. 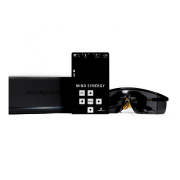 On the other side of the equation, Bio Synergy is a tangible machine that you can work with and explore without having to know about, or believe in unseen energies. In fact, even if you are in good health right now, and don’t believe in chakras because researchers say they don’t exist, it never hurts to have one of these devices on hand. At the very least, if you are tired or stressed, this device may give you some relief before those two problems which modern research indicates lead into cancer, heart disease, metabolic disorders, increased risk of injury, and other problems. Today, there are many people being diagnosed with and treated for disorders in a “cradle to grave” system that only progresses from one stage to another without ever going backwards to a healthier state. From diabetes to cancer, allopathic medicine may claim to slow down the progression of disease, but it can rarely stop it or reverse it. In this sense, you have nothing to lose by trying out a device that may just give you a complete reversal of symptoms and restore well being. When using this device, the cogitative forces that sustain the body’s concentration will be activated and become much more effective. It will alleviate problems associated with stress and exhaustion. You will sleep better and also feel more relaxed when using this device. Your senses of sight and hearing may become more acute as your nervous system heals and regains optimal function. Purifies blood and helps eliminate toxins. This is especially important in a world where most foods are filled with pesticide or other harmful chemicals that rob the body of health and wellness even as you try to meet basic life needs. Without additional filtering and improved elimination of toxins, it should come as no surprise that illness is the norm and not the exception. Sometimes it seems like the more people are exposed to modern medicine and the research it is based on, the more skeptical they become. Considering the mounting evidence of fudged scientific data, drugs and procedures with horrible side effects, and outright misdiagnosis of many disorders, it should come as no surprise that people are looking more to alternative healing methods. Bio Synergy (available here) is a safe, effective device that may just be what you need to help you feel better or even maintain wellness in a world where dangerous toxins and energies lurk in the air, water, and food. Why take a chance on getting sick and unable to get well, or wind up getting sicker than you are now when this device may give you years of improved health and wellness with no side effects and relatively little in terms of expense and effort? Share this post "Bio Synergy: What it is and Why You Need It"